American Standard has a top reputation for quality and performance. Its heat pumps are costly too, especially the AS Platinum Series models. This overview of the American Standard heat pumps informs you about the various lines – Platinum, Gold and Silver – and the differences among them. We include heat pump prices below. 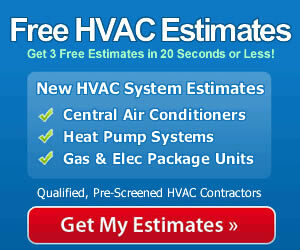 See our HVAC reviews for specific prices. We always include HVAC prices so that you’ve got all the data to make an informed decision. Here’s how the three lines stack up. American Standard Platinum heat pumps: This line goes toe to toe with some of the best, including Carrier Infinity, Dave Lennox Signature and Trane XL. The 2 Platinum models are Energy Star rated and offer 2-stage heating and cooling. Each one is backed by a 12-year compressor and 10-year parts warranty. The models are the American Standard Platinum ZM (19 SEER, 9.0 HSPF) and the American Standard Platinum XM (18 SEER, 9.0 HSPF). American Standard Gold heat pumps: There are 2 models, the Gold XI (16.5 SEER, 9.0 HSPF) and the Gold SI (14.5 SEER, 9.2 HSPF). Both are Energy Star rated and offer single-stage performance that doesn’t heat or cool as evenly as 2-stage models. They’re a good choice, especially the Gold XI, when you want to save money and still get good efficiency. American Standard Silver heat pumps: The Silver XI (16 SEER, 8.5HSPF), an Energy Star heat pump, and the Silver SI (14 SEER, 8.0 HSPF) are single-stage models. Which American Standard Heat Pump Should You Choose? Evaluate your choices based on your climate. In very warm climates, the Platinum Series models will reduce energy use and cost the most. They’re probably too costly for moderate climates where energy efficiency is not as crucial. Unless you want a Platinum Series model for environmental purposes, take a look at the Gold or Silver Series if summers are milder where you live. Platinum Series heat pumps are also dual fuel models. Since they can alternate heating with a gas furnace, they are ideal for freezing climates where a heat pump alone is ineffective. When cost is the most important factor, consider Silver Series models. They are often chosen in very temperate climates but also for installation in vacation homes, guest apartments and other locations that don’t get heavy use. You’ll notice that these heat pumps are competitively priced with other top of the line brands, but more expensive than value brands like York, Aire-Flo and Payne. For the price, you get good quality and dependability. Top American Standard heat pumps should offer 17-20 years of service and sometimes more. For specific heat pump prices, see our heat pump reviews for many of these models. Compare head to head the brands and series you are considering and you’ll get a clearer picture of which ones are worth learning more about. Get multiple estimates for the best prices in your area, and choose a qualified contractor you believe will do a great job installing your American Standard heat pump.